This is just too good not to share. 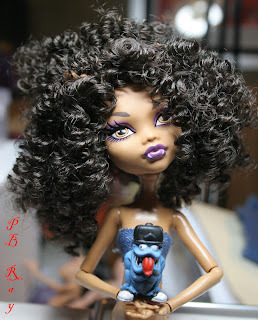 We saw this on ebay- it is a Moxie Teenz wig- which fits Monster High- and we had to have one for Clawdeen. (PB cut holes for her ears.) 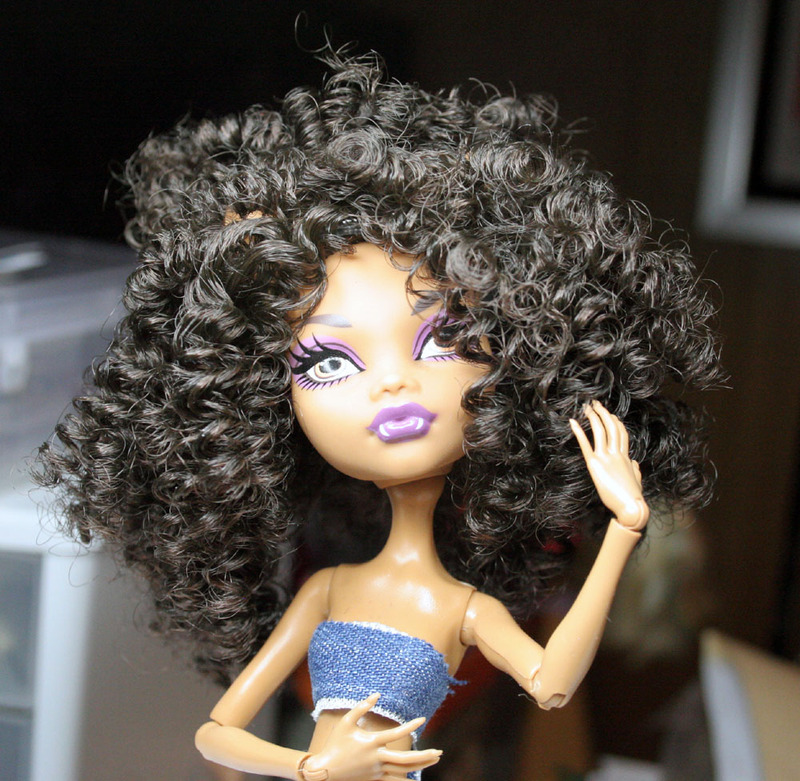 Those curls are just piled on- and could not be more perfect for that sweet face. These little guys love hot cars and wild chicks. Last shot before getting back to work. the moxie teenz wigs fit MH dolls??? that's awesome news and Clawdeen is too cute in that wig, it totally fits her personality! 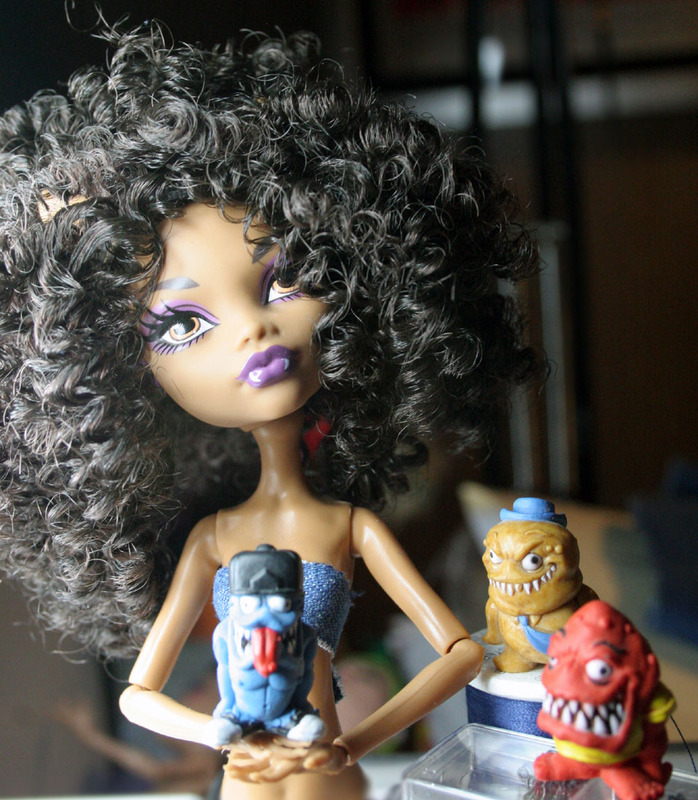 And Clawdeen looks awesom in curls! Wow, good to know! I love your tutorials, so helpful! And who are the minions? They're too cute! Are they MH pets? Or someone elses?